"Create an artifact that enhances music education in early childhood." This was a continued project from spring 2014 for my senior capstone. Melodia is a modular children's toy that explores the possibilities of creating music through play. My main goal of this project was to enhance music education in early childhood as a gateway to future musical endeavors. While I update this page, feel free to see my process on my blog. 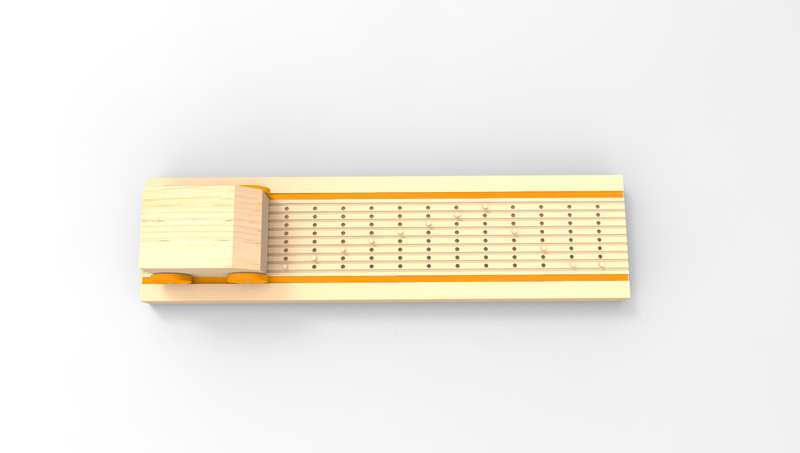 The prototype was constructed out of milled beech and a deconstructed kalimba within the car. I started out my research by reading academic articles on music education for young children. In Toward an Integrated Developmental Theory for Early Childhood Music Education by Barbara Andress, it was stressed that learning through play is one of the most effective tools in developing music education. I surveyed twenty-two Carnegie Mellon music students to see a which age their musical interests peaked. Most, if not all, grew up around music or was exposed to it at a very early age. At this point, I was trying to gear my project more towards learning in the classroom setting. A group of musically-inclined students were asked to fill out a timeline of when music affected them most. The following are samples of the more successful research tools.